The Supply Room Cos. headquarters off U.S. 1 in Hanover County. Two long-time, local companies in the office supplies and janitorial supplies business have merged. The Supply Room Cos., a Hanover County-based business founded in 1951, completed an acquisition earlier this month of Lawrence Environmental Group, a 75-year-old supplier of cleaning and maintenance solutions based in Richmond. Both companies are privately owned, and financial terms of the deal were not disclosed. The Supply Room, a division of TSRC Inc., provides office supplies to businesses, schools and government agencies. Its Virginia offices are in Ashland, Bridgewater, Charlottesville, Lynchburg, Richmond, Roanoke, Sterling and Virginia Beach. 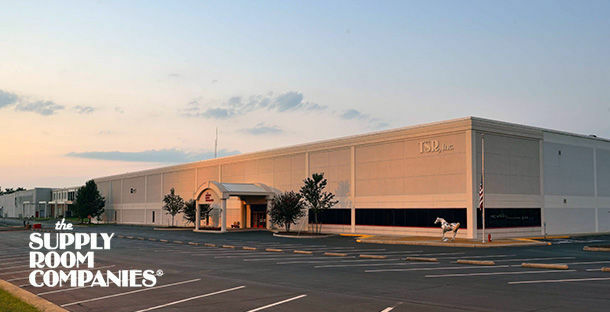 It also has offices in Charlotte, N.C. and in Elkridge, Md., where TSRC division Frank Parsons Co., an office supply and technology services company, is based. The deal adds a location in eastern Henrico County for The Supply Room. Lawrence Environmental has an office on Klockner Drive near Williamsburg Road and South Laburnum Avenue. It has 22 employees. “This merger puts us in the best position moving forward to service all our customers throughout the state of Virginia,” Roy Jorstad, president of Lawrence Environmental, said in a statement. TSRC has about 195 employees at its various locations. Jonathan Brabrand at Fahrenheit Capital Partners served as the exclusive mergers and acquisition advisor to Lawrence Environmental in the transaction.